Phantasy Star Online 2 is celebrating its 5th anniversary with the ARKS Battle Chronicle. Players can earn points for the event by defeating bosses within the limited quest. These points will be tallied across all players to unlock prizes listed on the official site. Each boss defeated during the limited quest will add points based on the quest’s difficulty. Both effects will steadily rise each time we achieve certain scores! The Extra Boost begins after maintenance on July 12th and will rotate to each Limited Quest starting with Episode 1. 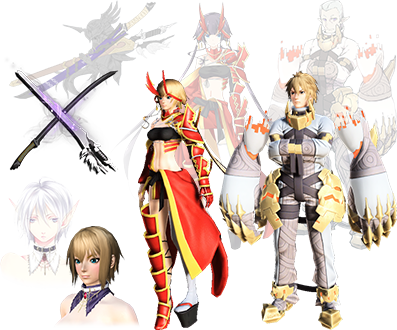 Phantasy Star Online 2 is holding its 5th annual Item Design Contest. Contestants can submit designs for weapons, outfits, and accessories they’d like to see in the game. This year’s contest is adding a new category! Artists can now submit concepts for body paint and makeup. What sort of wild and interesting designs will you come up with? Let SEGA know by submitting your design today! Submissions for hairstyles and cast parts are not being accepted at this time. Submissions for layered wear are not being accepted at this time. However, it is possible that the staff may convert your costume into layeredwear. 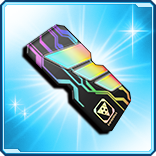 Weapon Camo submissions are only valid for categories appearing in PSO2. Submissions of things attached to the player’s skin such as lipstick, under armor, socks, etc, will qualify for the corresponding makeup/body paint categories. Entries submitted as Body Paint, may be implemented as [Innerwear]. Designs which have multiple variations under the same theme, should be submitted separately instead of putting them all into the same image. Entries must not be shown to the public, and can only be submitted by the creator themselves. Images must be submitted in JPEG format, up to 1MB in size. Players are allowed to submit as many entries as they want. Phantasy Star Online 2 is accepting submissions of your character wearing outfits under a particular theme. 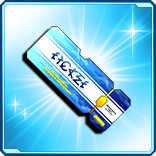 Winners will receive a Trophy, Star Gem Ticket, Free Salon Pass, and Color Change Pass. A Leisurely Outdoor Summer Ensemble! A Japanese Style Ensemble Perfect For Enjoying A Cool Summer Evening! Have your character wear an ensemble depicting one of the themes for the contest. Weapons, Mags, and Units should not be displayed in the screenshot. In addition, NPCs, enemies, and other players should not be shown within the screenshot. Images should be submitted in landscape orientation. The screenshot must be taken in a way in which both the character’s knees and body parts above are visible within the entire scene. This condition in particular is not required for the “I am a Guardian” division. Lobby Actions and facial expressions are also acceptable. You may use the camera to change the angle and positioning of the screenshot. UI elements, including chat boxes and symbol arts, are not allowed in the main screenshot. Your Player ID must be displayed overhead the character entering the contest. The screenshot should be taken in a way where their entire body is visible. You must upload the character creation file of your character wearing the ensemble depicted in the screenshot. Each entry should be submitted in JPEG, up to 1 MB in size. Phantasy Star Online 2 is now accepting entries for its 5th Anniversary Art Contest! 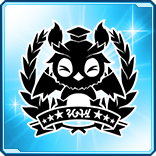 This year’s contest tasks artists with commemorating the 5th anniversary of PSO2. You can submit an illustration under whatever theme you like, whether it’s art depicting your favorite character, or a recollection of your favorite moments from Episode 1 ~ 4. The winning illustrations will have their artwork converted into in-game room items which can be proudly displayed on the wall. Images must be in the size of 1280 x 720 pixels. Each contest entry must be submitted as JPEG, up to 1 MB in size. You can find the answers to the quiz questions on Twitter or other Japanese fan blogs. You’ll need to first determine what day it is in Japan by googling “What Time is It In Japan.” For example, if it is June 20th, then the date will be written as 6月20日. Afterwards, you can check out the following links for the quiz answers.